You will be taken to a third-party store, where you can pay with supported currency. 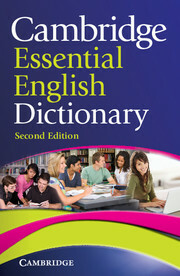 The Cambridge School Dictionary is the perfect study companion for students studying other subjects through English. It includes vocabulary from all the main CLIL and International GCSE topics - from biology to economics and from IT to literature - to give you the confidence and support you need to learn in English, whatever the subject. Every word is explained in clear, simple English, along with all the grammar and usage information you need to use English correctly. The CD-ROM contains the whole dictionary in a handy, searchable format, and many more features to help you find the words you need and develop your language skills.